Activating TOK gives support to teachers and students in thinking about the ideas central to the International Baccalaureate Theory of Knowledge course. The emphasis throughout the blog is the application of skills of critical thinking to real situations in the world. Activating TOK complements the IB Theory of Knowledge Course Companion (Oxford University Press, 2013) with continuing TOK comment on current topics to provide ideas for teachers and fresh material for the classroom. Activating TOK is not a commercial site. You can read the blog, and sign up to follow it, free of cost. Additional downloadable resources, as they are added, will carry a creative commons license allowing others to use and share them freely. My life diverted sharply to TOK three decades ago. 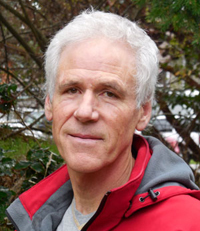 At the time, I was happily teaching English A at Pearson United World College and literature and writing courses at the University of Victoria, western Canada. What more could I want? Then I read the syllabus for Theory of Knowledge. At that time, it was no more than couple of pages of questions. But I was instantly gripped. I liked the questions. I liked them a lot. Looking back, I see that my first years of teaching TOK were driven more by enthusiasm for ideas and affection for my lively international students than by the overview understanding I developed over time. But I was hooked. Taking roles with the IB expanded my view of the course. Fairly quickly, I became an assessor, and for a term Deputy Chief Assessor. In that context, and in curriculum review, I worked with stimulating TOK colleagues. Leading IB workshops, I learned also from other teachers. A few years ago, I shifted from the face to face classroom to work online. 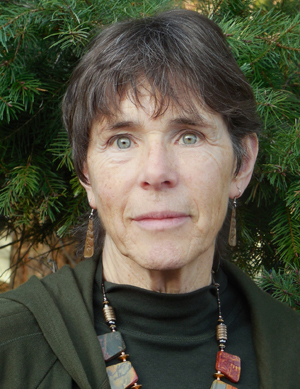 I taught an online university course called Perspectives on Global Citizenship (UBC) and designed and facilitated the first online TOK teacher training workshops for the IB. 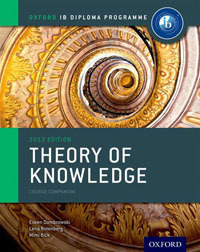 With the co-author support of two fine colleagues and friends, I also wrote the Theory of Knowledge Course Companion. These days, support for TOK teachers no longer consists of a couple of pages of questions! I believe that TOK must be taught with a stress on developing broad conceptual understanding and skills of critical thinking. The TOK course should teach transferable skills to seek out the best knowledge possible — not only for clear thinking in academic contexts but also for sound decision-making and action in the world. My husband Theo has been thinking, talking, and writing with me for about 50 years. It’s not at all surprising that the cooperative projects of our lives extend now to his blogging with me on TOK. Theo did his formal study in English literature (PhD, University of London), and at first taught at university level. But the International Baccalaureate and the United World Colleges offered a life of greater variety and more direct interaction. Mainly at Pearson College but also at the UWCs in Italy and Norway, he has taught international students and led them in CAS activities outside class. In teaching English A for 30 years, he made deliberate choices to approach literature in terms of issues shared with Theory of Knowledge. Both in the kind of topics under discussion and in the specific texts selected, he emphasized such questions as cultural perspectives, ethical responsibility, reasoning, misperception, and language. A keen follower of the “skeptical movement” (for instance, see “Scepticism – a million dollar challenge”), he has blogged repeatedly on critical thinking. Theo is also an artist and an author. You can see his work at http://theodombrowski.net.